Better late than never! Here’s a simple e-greeting to wish everyone a Happy Lunar New Year to everyone! Hope everyone have an awesome pig year! 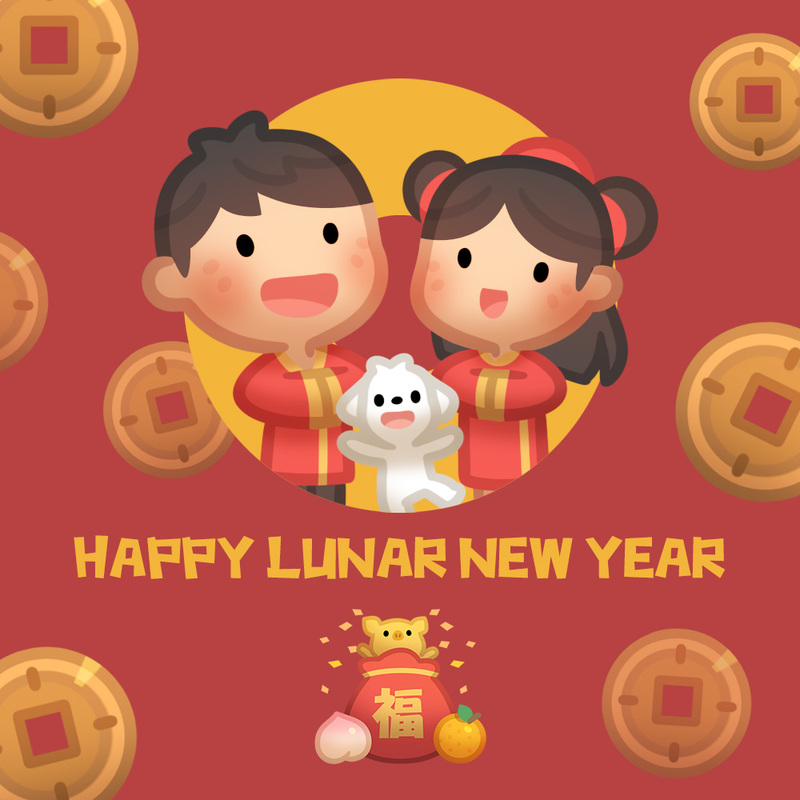 Don’t forget to check out the Lunar New Year EMOJI and Sticker set for Line messenger! I admit that it’s not just Kate, I can’t stop giving monkey Chase little kisses on his squishy cheeks.